Ignite your passion for adventure, action, and travel! The Banff Mountain Film Festival World Tour will exhilarate you with amazing big-screen stories when it comes the Rio Theatre at 7 pm February 22 – 25 (Four nights, two programs). Journey to exotic locations, paddle the wildest waters, and climb the highest peaks. Get your tickets today and be taken away to the most captivating places on earth. 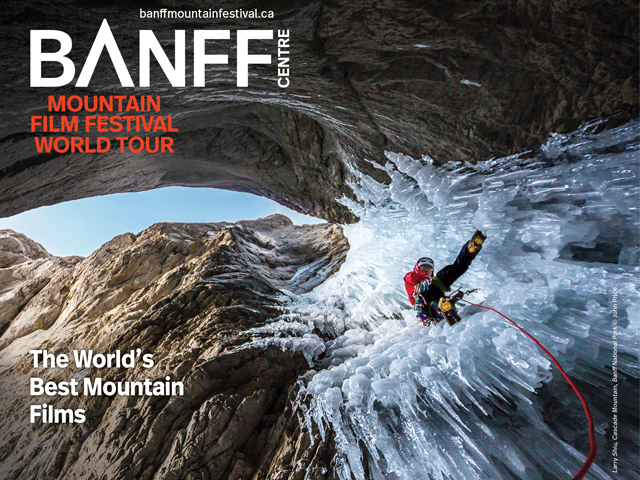 The 2017/2018 Banff Mountain Film Festival World Tour brings films from the 42nd annual Banff Mountain Film Festival to about 400 communities around the world. From an exploration of remote landscapes and mountain cultures to adrenaline-fueled action sports, films in this year’s World Tour are sure to captivate and amaze the explorer within you. Be moved. Be inspired. Don’t miss out. Reserve your tickets today. For more information visit recreation.ucsc.edu. This stop on the world tour is hosted by UC Santa Cruz Recreation Department.